An introduction to the study of world regions including an overview of selected thematic regions (e.g., climate, vegetation) and geographic realms. Basic geographic concepts will be highlighted throughout the course. Only for students registered in the Preliminary Year program. Antirequisite(s): Geography 1300A/B, Geography 1400F/G. This course adopts a geographic approach to understanding contemporary China. It examines how transformations of China's land, people, economy, and society are recasting internal regional divisions and repositioning China in a rapidly changing world. Investigation of geographical factors in the political, economic and social patterns of Western Europe; selected themes and case studies. Antirequisite(s): The former Geography 2071A/B. Extra Information: 2 lecture hours, 1 practical work hour. Extra Information: Limited enrollment with preference given to students registered in a Major in Geography or Physical Geography; recommended to be taken in second year. Examination of tourism as a global, national and local phenomenon, with economic, social, and environmental impacts; emphasis on tourism in developing countries; hosts, guests, and tourism operators; tourism trends; mass versus alternative tourism; relationship between 'ecotourism' and nature protection. Antirequisite(s): the former Geography 2144F/G. Antirequisite(s): The former Geography 2152A/B. Antirequisite(s): Biology 2244A/B, Economics 2122A/B, Economics 2222A/B, Health Sciences 3801A/B,MOS 2242A/B, Psychology 2810, Psychology 2820E, Psychology 2830A/B, Psychology 2850A/B, Psychology 2851A/B, Social Work 2207A/B, Sociology 2205A/B, Statistical Sciences 2035, Statistical Sciences 2141A/B, Statistical Sciences 2143A/B, Statistical Sciences 2244A/B, Statistical Sciences 2858A/B, Statistical Sciences 2037A/B if taken prior to Fall 2010, former Psychology 2885 (Brescia), former Statistical Sciences 2122A/B, former Social Work 2205. Prerequisite(s): 1.0 course from Geography 1100, Geography 1300A/B, Geography 1400F/G, Geography 1500F/G, Geography 2131A/B, Geography 2153A/B, Environmental Science 1021F/G; or enrolment in the Major in Physical Geography or in an Honors Earth Science Program for Professional Registration. Prerequisite(s): 1.0 from Geography 1100, Geography 1300A/B, Geography 1400F/G, Geography 1500F/G, Geography 2131A/B, Geography 2153A/B, Environmental Science 1021F/G; or registration in a module in Science or in Engineering, in the Major in Physical Geography, or in the Commercial Aviation Management program in MOS. Extra Information: 2 lecture hours, 2 laboratory hour. Prerequisite(s): 1.0 course from Geography 1100, Geography 1300A/B, Geography 1400F/G, Geography 1500F/G, Geography 2131A/B, Geography 2153A/B; or 0.5 course from Mathematics, Applied Mathematics, Calculus, Environmental Science or Physics at 1000-1999 level; or enrolment in the Major in Physical Geography or in an Honors Earth Science Program for Professional Registration. Prerequisite(s): 1.0 course from Geography 1100, Geography 1300A/B, Geography 1400F/G, Geography 1500F/G, Geography 2131A/B, Geography 2153A/B, Environmental Science 1021F/G; or enrolment in the Major in Physical Geography. Extra Information: 2 lecture hours, 1 laboratory hour. Prerequisite(s): 1.0 course from Geography 1100, Geography 1300A/B, Geography 1400F/G, Geography 1500F/G, Geography 2131A/B, Geography 2153A/B, Environmental Science 1021F/G, or enrolment in any of the Global Culture Studies modules. Prerequisite(s): 1.0 course from Environmental Science 1021F/G, First Nations Studies 1020E, Geography 1100, Geography 1300A/B, Geography 1400F/G, Geography 1500F/G, Geography 2131A/B, Geography 2153A/B, Environmental Science 1021F/G or First Nations Studies 1020E; Women's Studies 1020E, Health Sciences 1001A/B and Health Sciences 1002A/B; Sociology 1020, Sociology 1021E, Sociology 1025A/B, Sociology 1026F/G, Sociology 1027A/B or enrolment in the Major in Ecosystem Health or in any of the Globalization Studies modules, or permission from the Instructor. Extra Information: 2 lecture hours, 1 tutorial hours. Prerequisite(s): 1.0 course from Geography 1100, Geography 1300A/B, Geography 1400F/G, Geography 1500F/G, Geography 2131A/B, Geography 2153A/B, Environmental Science 1021F/G; Economics 1021A/B, Economics 1022A/B; MOS 1021A/B, MOS 1023A/B, or enrolment in any of the Globalization Studies modules. Prerequisite(s): 1.0 course from Geography 1100, Geography 1300A/B, Geography 1400F/G, Geography 1500F/G, Geography 2131A/B, Geography 2153A/B, Environmental Science 1021F/G; Health Sciences 1001A/B and Health Sciences 1002A/B; Sociology 1020, Sociology 1021E, 1025A/B, 1026F/G, 1027A/B or enrolment in the Major in Ecosystem Health or in any of the Global Development Studies modules, or permission of the instructor. Prerequisite(s): 1.0 course from Geography 1100, Geography 1300A/B, Geography 1400F/G, Geography 1500F/G, Geography 2131A/B, Geography 2153A/B, Environmental Science 1021F/G, or enrolment in any of the Global Development Studies modules. Prerequisite(s): 1.0 course from Geography 1100, Geography 1300A/B, Geography 1400F/G, Geography 1500F/G, Geography 2131A/B, Geography 2153A/B, Environmental Science 1021F/G, or Economics 1021A/B or Economics 1022A/B, or enrolment in any of the Global Development Studies or Globalization Studies modules. Departmental field trips to develop student skills in field-based observation, data collection and recording, and analysis and interpretation of human and physical landscapes. Prerequisite(s): 3rd year status in any module in the Department of Geography except the minor; limited enrolment. Priority given to Specialization and Honors Specialization students. Extra Information: Sessions and dates by arrangements. Students should be prepared to meet the necessary travel and living expenses. Antirequisite(s): All other senior level statistics courses numbered 2000 or above. 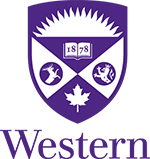 Prerequisite(s): Geography 2210A/B or Biology 2244A/B or Statistical Sciences 2244A/B and enrolment in a geography program or permission from the instructor. Prerequisite(s): Third or fourth year status at the University, Geography 2220A/B and one of Geography 2210A/B, Biology 2244A/B or Statistical Sciences 2244A/B, or other equivalent, or permission of the instructor. Extra Information: 2 lecture hours, 2 lab hours. Limited enrollment. The application of general principles of scientific modelling and visualization to geographic problems using a GIS and other relevant spatial information processing systems. Seminar/studio format with individual or team student projects. Prerequisite(s): Geography 2210A/B or Biology 2244A/B or Statistical Sciences 2244A/B and Geography 2220A/B. Extra Information: 2 lecture hours, 2 practical work hours. Antirequisite(s): The former Geography 2250A/B. Prerequisite(s): Two full courses in Geography and third or fourth year status at the University. Prerequisite(s): Third or fourth year status at the University including Geography 2210A/B, Geography 2220A/B and at least one of Geography 2310A/B, Geography 2320A/B, Geography 2330A/B or the former Geography 2340A/B, or equivalent. Extra Information: 2 lecture hours, 2 practical hours. Prerequisite(s): One of Geography 2310A/B, Geography 2320A/B or Geography 2330A/B, or at least 3rd year standing in an Environmental Science or Earth Sciences program. (A 1000-1099 level course in Applied Mathematics, Mathematics, or Physics is also recommended). Prerequisite(s): One of Geography 2310A/B, Geography 2320A/B or Geography 2330A/B, or at least 3rd year standing in an Environmental Science or Earth Sciences program. The distribution and movement of groundwater; evaluation and monitoring of groundwater resources with respect to their extraction, pollution and remediation. Prerequisite(s): One of Geography 2310A/B, Geography 2320A/B, Geography 2330A/B, Biology 2483A/B, Biology 2485A/B, Earth Sciences 2230A/B. Prerequisite(s): One of Geography 2310A/B, Geography 2320A/B or Geography 2330A/B, or at least 3rd year standing in an Environmental Science or Earth Sciences program, or Biology 2483A/B, Biology 2485A/B. Prerequisite(s): Third or fourth year status at the University. Two full courses in Geography or equivalent, or enrolment in the Minor in Environment and Culture, in any of the Global Development Studies modules, or permission of the instructor. An examination of the spaces of masculinity and femininity; theories, concepts and selected topics. Issues addressed include spatial divisions of gender and social constructions of male and female roles and places. Prerequisite(s): Third or fourth year status at the University. Prerequisite(s): Geography 2220A/B or Geography 2420A/B or permission of the instructor. Prerequisite(s): Geography 2420A/B, or Geography 2143A/B with a grade of at least 70%, or enrolment in the Bachelor of Management and Organizational Studies. Extra Information: 2 lecture hours, 1 seminar hour. Prerequisite(s): Geography 2430A/B or a related 2000-level course in Health Sciences, Sociology or Psychology, or permission of the instructor. Examines struggles between conservation and economic development in a North-South context, setting the transformation of natural ecosystems and impoverishment of biodiversity in a political economic context that includes disparities in wealth, consumption, and 'ecological footprints'. This course investigates the political ecology of energy. Issues of politics and power, social equity, and environmental impact are examined through Canadian and international case studies. The concept of 'energy justice' is used both to critically assess current patterns of energy production and use and to explore more sustainable possibilities. Prerequisite(s): Geography 2460F/G. Business Administration 2257 is strongly recommended. Prerequisite(s): Third or fourth year status; At least one of Geography 1400F/G, Geography 2210A/B, Geography 2220A/B, Geography 2420A/B or Geography 2460F/G. Prerequisite(s): Geography 2210A/B* and 0.5 from Economics 1021A/B, Geography 2143A/B, Geography 2420A/B, or permission of the instructor. (*One of the following courses can substitute for Geography 2210A/B: Biology 2244A/B, Economics 2122A/B, Economics 2222A/B, Health Sciences 3801A/B, MOS 2242A/B, Psychology 2810, Psychology 2820E, Psychology 2850A/B, Psychology 2851A/B, the former Psychology 2885, Social Work 2207A/B, the former Social Work 2205, Sociology 2205A/B, Statistical Sciences 2141A/B, Statistical Sciences 2143A/B, Statistical Sciences 2244A/B, Statistical Sciences 2858A/B and the former Statistical Sciences 2122A/B). Extra Information: 2 lecture hours, 1 lab/tutorial hour. Preparatory workshops and an 8-16 month placement with a government, private sector or non-governmental organization to acquire professional learning experience. Following the internship, students will produce a written report and do an oral presentation on work undertaken during the internship. Prerequisite(s): Completion of second year of a Geography Honors program with a minimum average of 70%. Participation in preparatory workshops. Extra Information: Non-credit.. Pass/Fail. Notes: ·This credit cannot be included in the number of courses counted towards any degree or program. ·Successful completion of Geography 3900 will be recognized on a student's transcript. ·International students may participate in this course provided they find an Internship placement in a jurisdiction where they are legally permitted to work. Consult the Department of Geography for details of course offering. Prerequisite(s): Two full courses or equivalent in Geography. Third or fourth year status at the University. Antirequisite(s): The former Geography 3452A/B. This course explores the challenges and opportunities of citizens' production, access, dissemination and use of Internet-based geospatial data (the geoweb) including locational and still/video imagery. Explores issues of ethics, privacy, research design and citizen engagement via the geoweb. Prerequisite(s): Fourth year status and Geography 2220A/B, or permission of instructor. The object of the course is to expose students to the theoretical and empirical underpinnings of urban form and structure. A major focus is on understanding the theories, acquiring the techniques to test the theories, and critiquing the approaches employed for the empirical tests. Prerequisite(s): Geography 2210A/B, MOS 2242A/B, Statistical Sciences 2035 or equivalent and 4th year standing in any Geography or MOS modules. Prerequisite(s): 4th year status, and enrolment in an Honors program with a specialization or major in the Department of Geography. Extra Information: Hours by arrangement. Prerequisite(s): Fourth year status, and enrolment in an Honors program with a Specialization or Major in the Department of Geography.